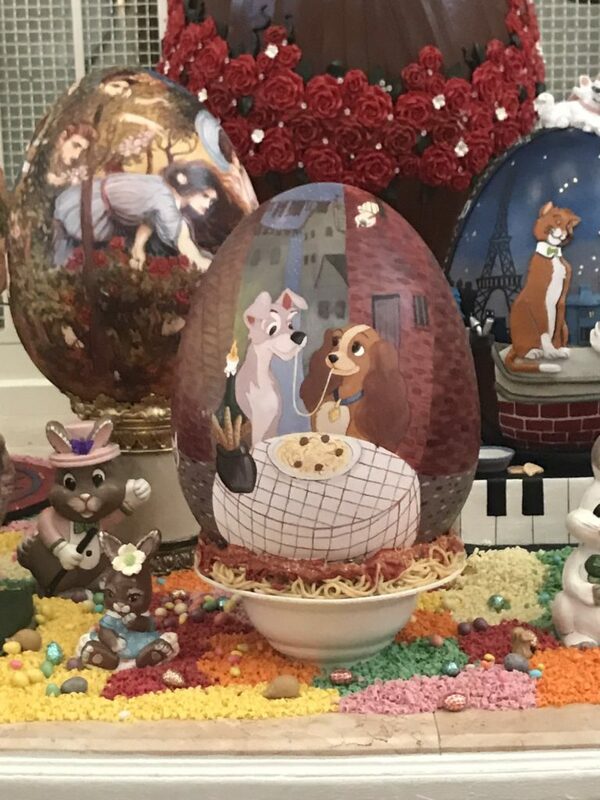 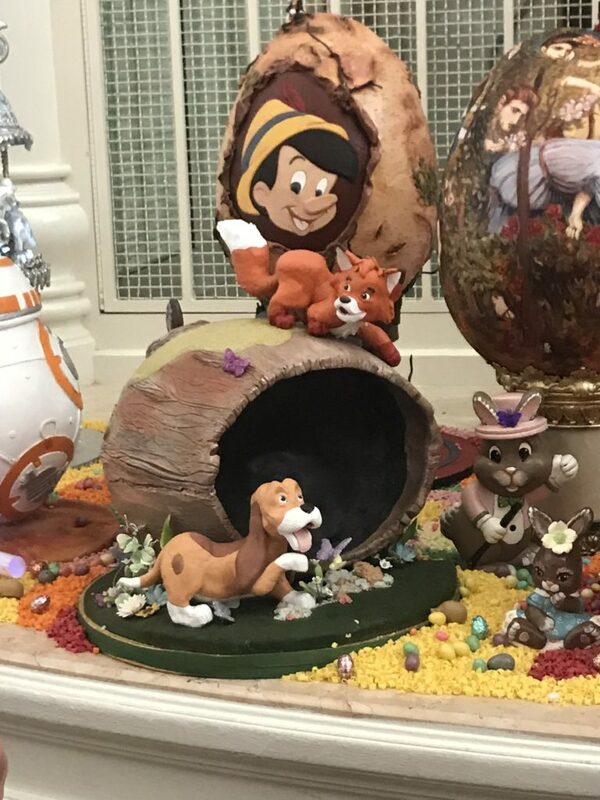 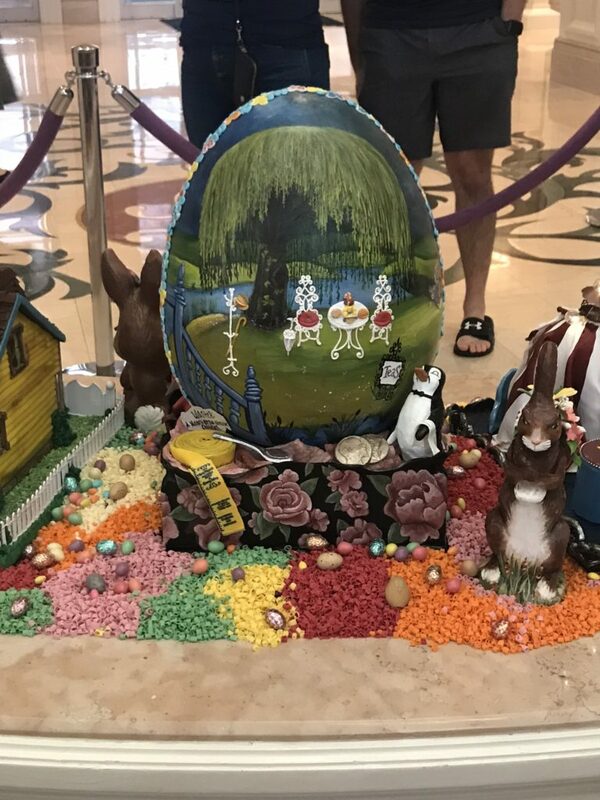 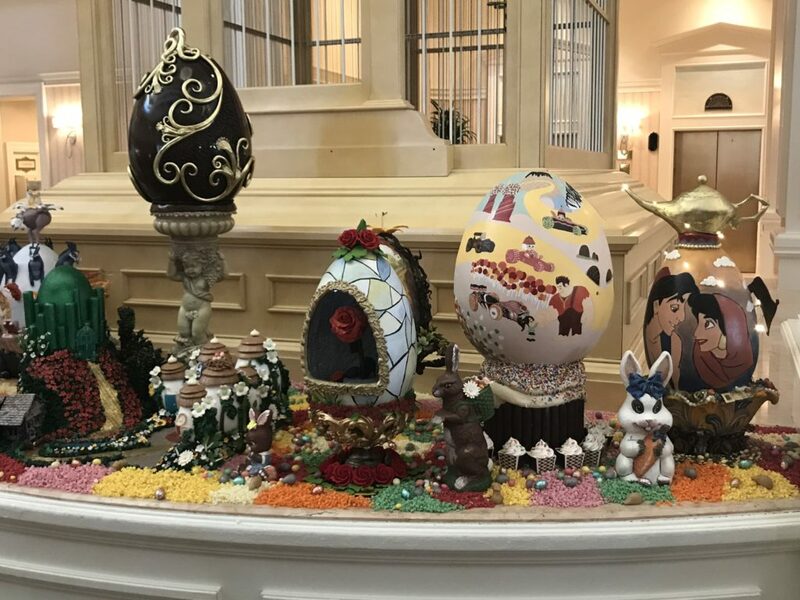 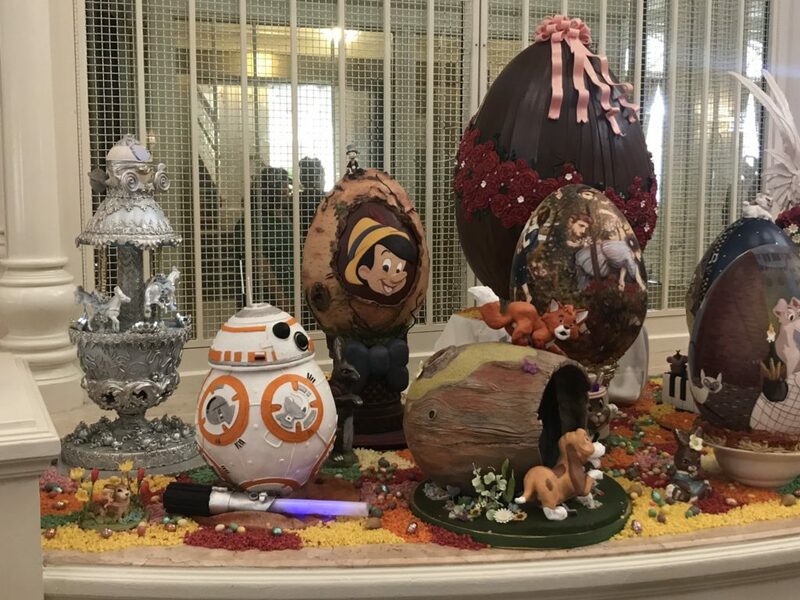 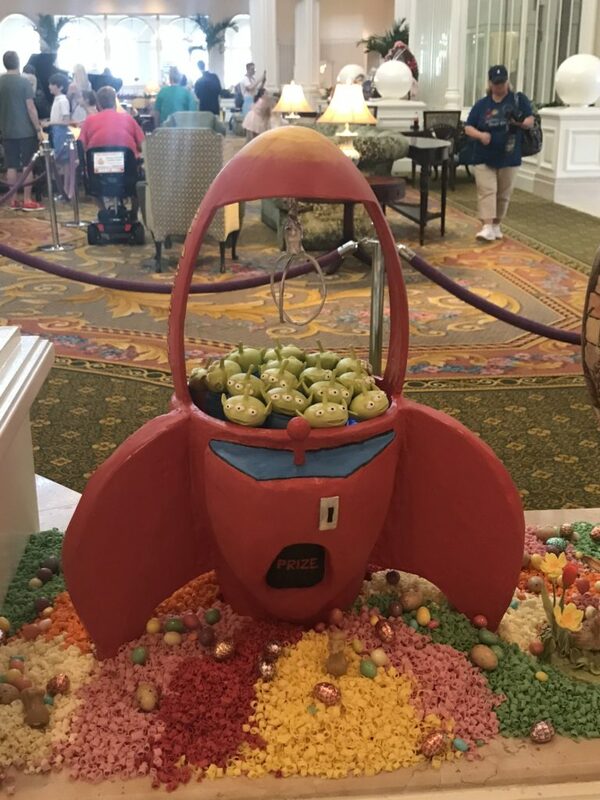 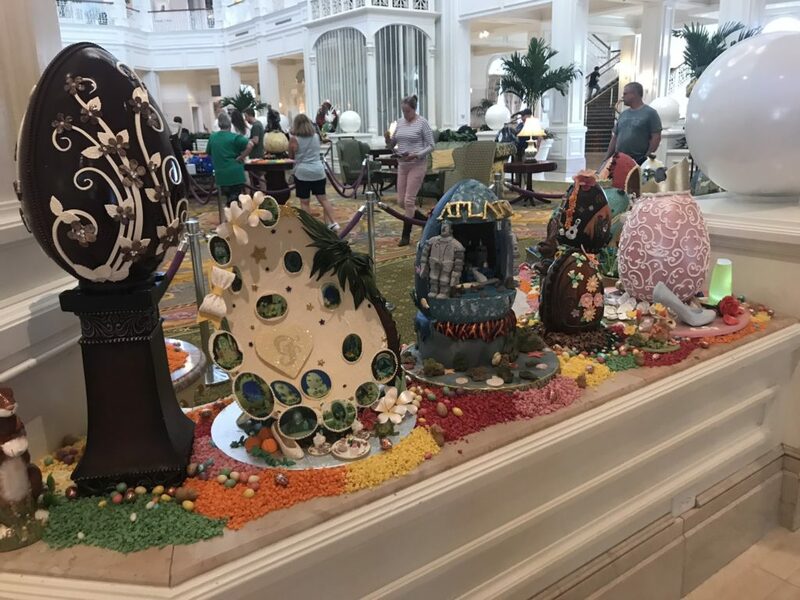 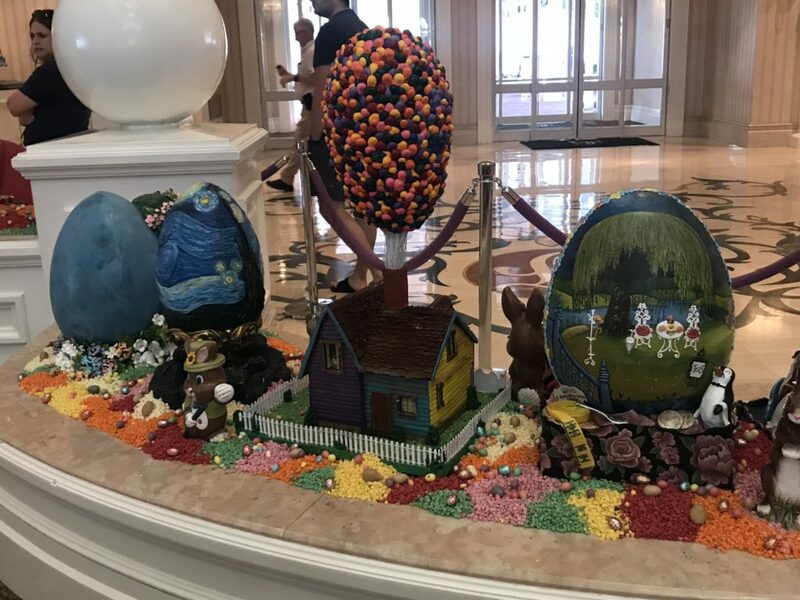 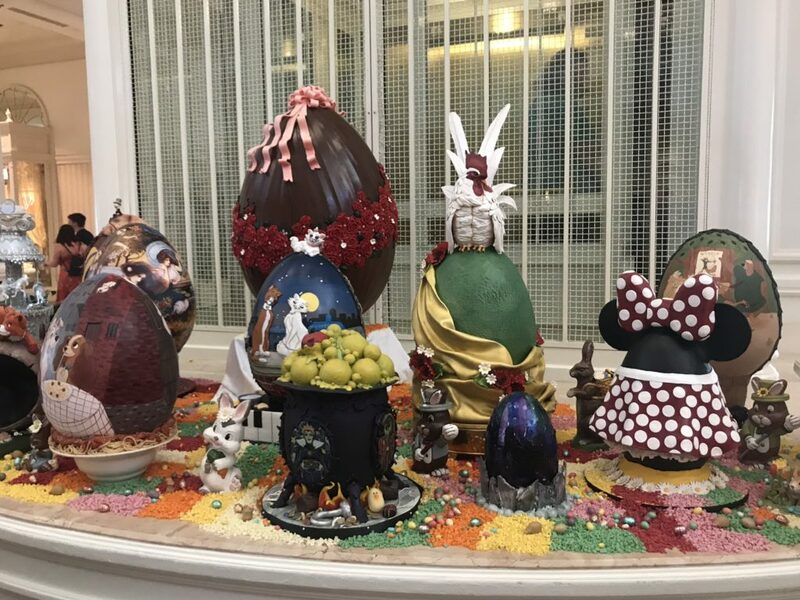 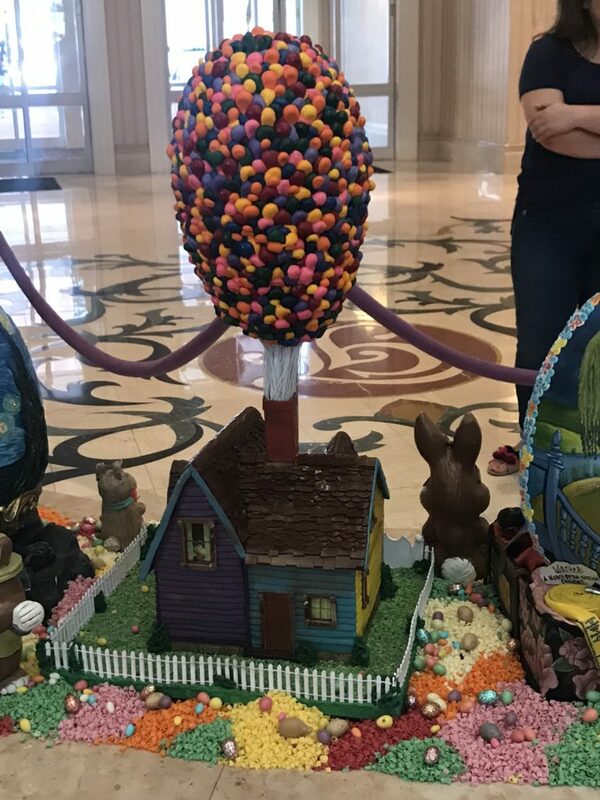 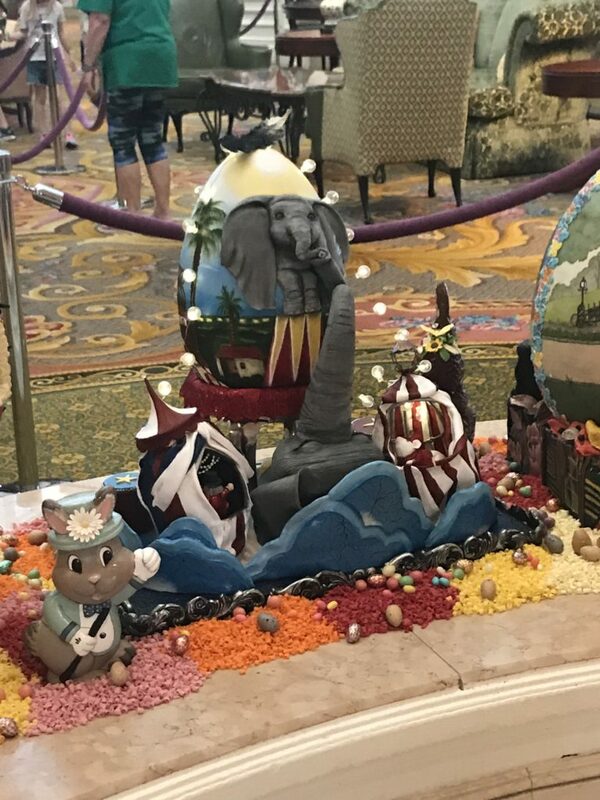 For the past couple of years Spring doesn’t just mean flowers and warmer temperatures, it also means it is time for the Grand Floridian Pastry Chef’s to begin working on their Easter Egg display. 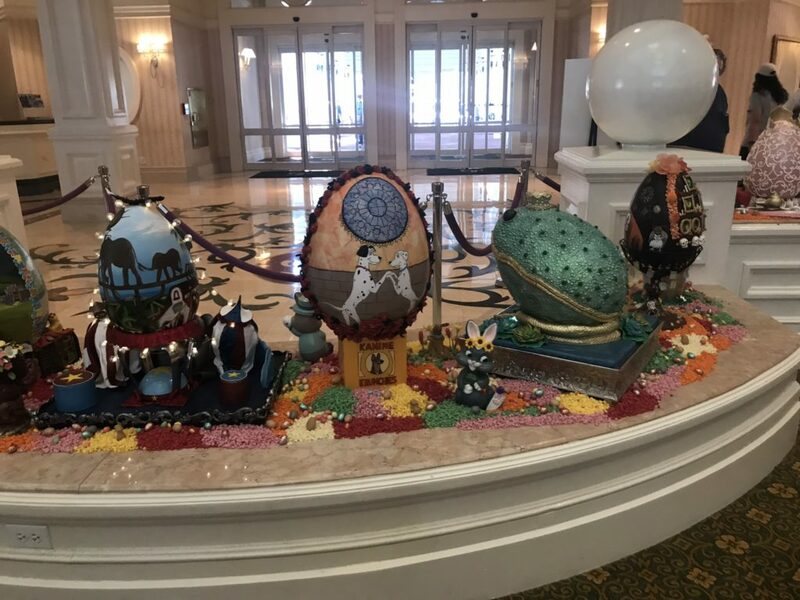 Each chef gets to create their own egg by decorating it with edible products and using the hollow chocolate eggs weighing 9-12 pounds. 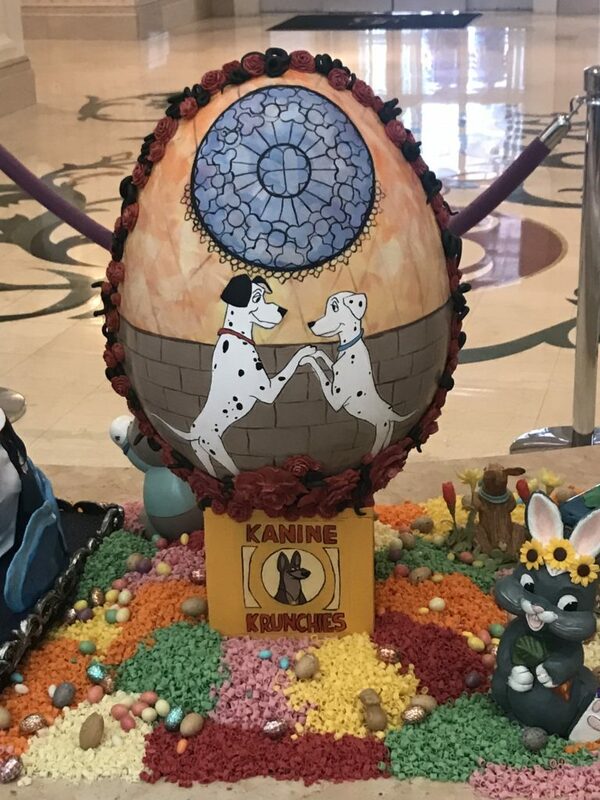 The eggs also stand between 16 and 20 inches tall and it takes over 3 weeks for them to create these amazing displays. 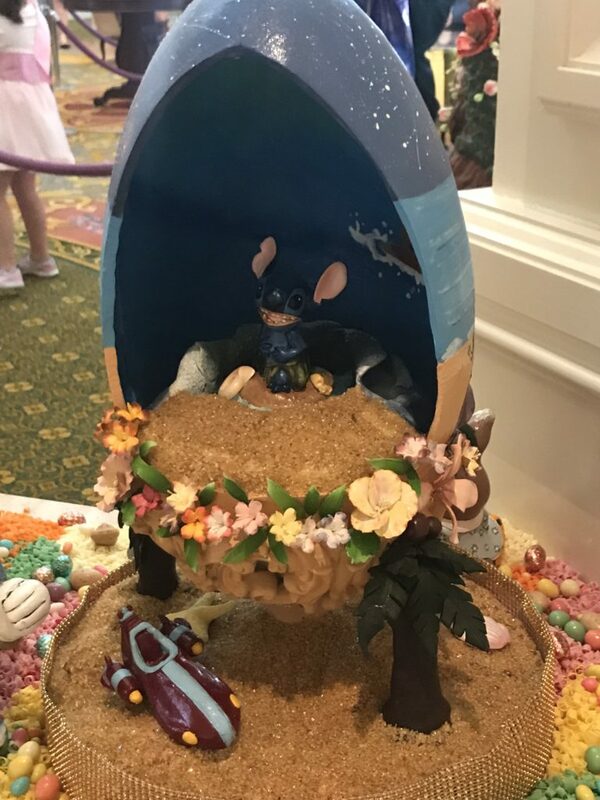 Take a look at their creations and see which ones are your favorites. 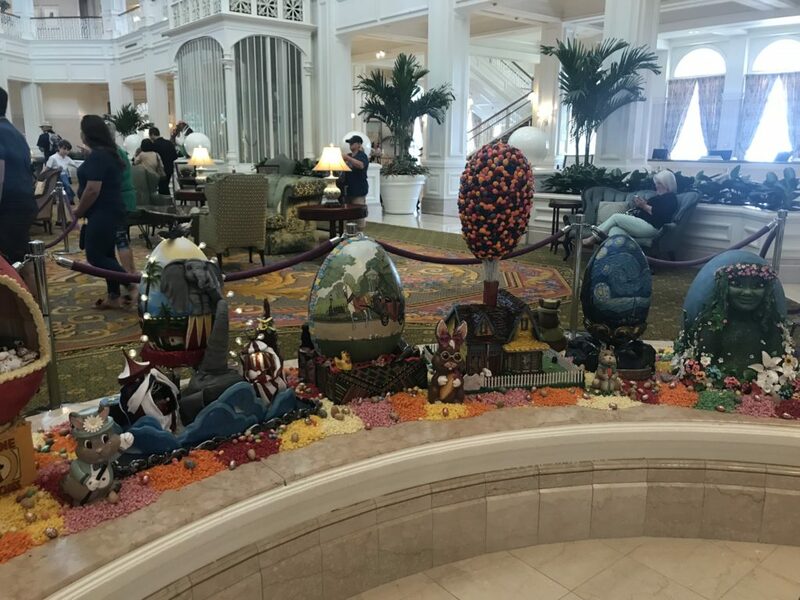 I’ve always wanted to see this display and it is even more beautiful in person. 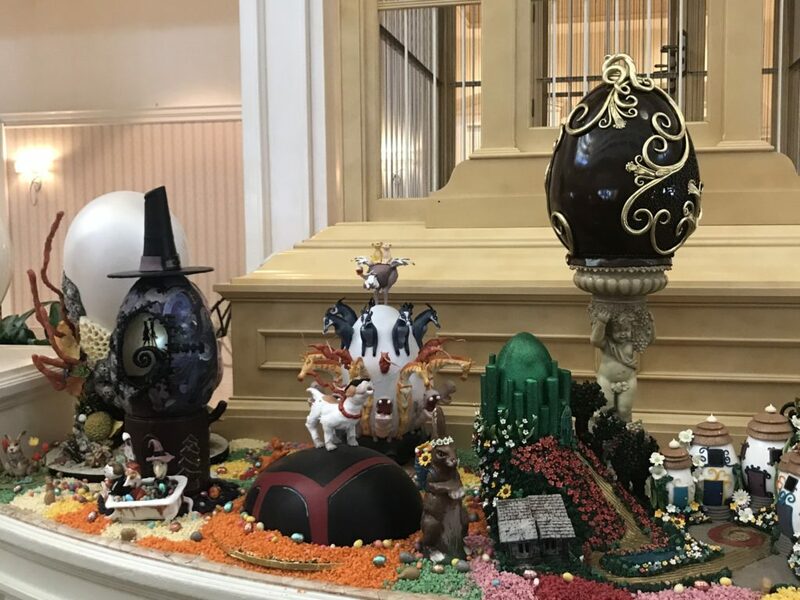 The detail that each of these pastry chefs put into their creations is breathtaking. 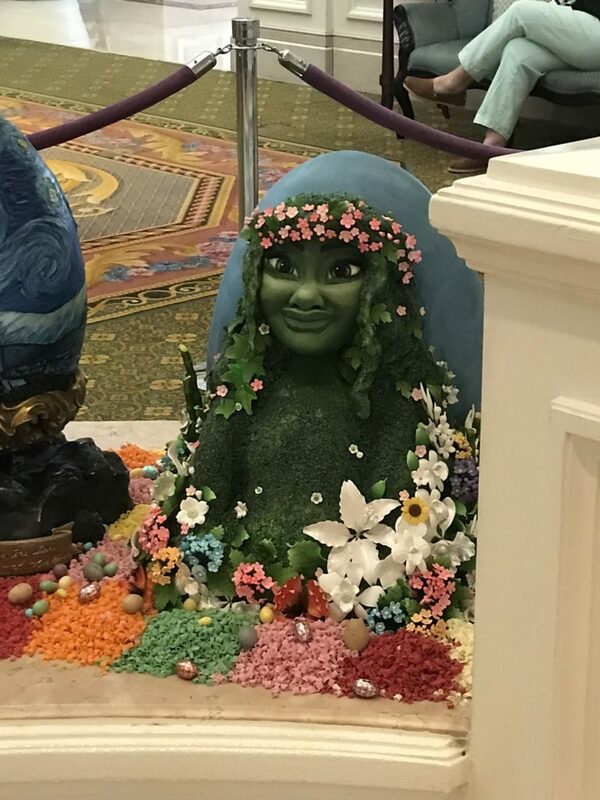 You will have until April 28th to see these masterful creations and I hope you enjoy them as much as I did.